ADS has a kit which includes this. 2. 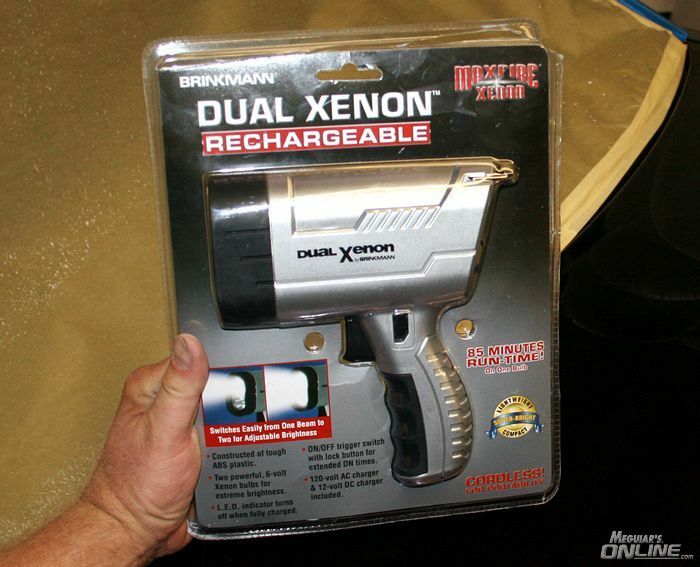 Is it safe to use on a new 09 car? "M205 Ultra Finishing Polish - M80 Speed Glaze (Different types of abrasives but close in cut ability)"
1.) It is impossible to know without trying it out. I have detailed some vehicles with a rotary buffer and M205 and I was able to remove all of the swirls and leave a perfection finish. Others requires compounding first. You will have to test it and see how it reacts to your paint. 2.) Yes, it is safe on new cars. SwirlX is great for shallow scratches. It's also like any other swirl and scratch remover and that is it's dependent upon the user's technique. Most people starting out with a DA Polisher make all the mistakes outlined here so they don't get good results. The good news is the above article also lists all the corrections to the mistakes and if you read through the entire article and follow the recommendations you'll at least find out if SwirlX is aggressive enough for what you're trying to do, if not you can then pick up some ScratchX 2.0 or Ultimate Compound and try again. 1. "Use the least aggressive product to get the job done"
2. Do a test spot and dial in a successful system to a small area before going over the entire vehicle. So start with SwirlX and do a test spot and see if it will get the job done, if it won't then pick up some Ultimate Compound and use it first and then if the paint is easily polishable it may polish out with UC so nicely you can go straight to wax, if it's not as clear and glossy as you think it can be then do a second polishing step using the SwirlX you already bought to bring the paint to a higher finish quality. Again, you don't know how any product is going to work until you go out and do some testing on your car's paint. As for the brand new car, YES all our paint care products are safe to use on new cars and old cars. We've been doing this for a few years and we make sure before we launch any paint care product that it's been thoroughly tested and we're already confident in the performance of the product by a wide range of users, both experienced and new to car care. Looking at your other post about agresiveness you stated that SwirlX is more agressive than the M205. A polisher is a tool, a polish is a paint care product. Which polisher are you referring to? Looking at your other post about aggressiveness you stated that SwirlX is more aggressive than the M205. You didn't include a link to the kit you're looking at at ADS and then mentioned SwirlX, so that's what I referenced. If the kit you're looking at includes M205 then everything I wrote is still accurate only if you substitute M205 for the SwirlX you'll be using an even less aggressive product and that's okay, because it's still a matter of testing to dial in a successful process. Sometimes this will require investing in a few products so you have them on hand to test. I'm a word guy and in the forum world, Wax Wars are waged over a single word, so choosing and using the correct word is very important in my world. Same information applies to everything I've posted. When you get the kit, do a test spot on a surface you can hopefully look down on and inspect in two kinds of light, sunlight and artificial light, start with the M205 if that's what's in the kit. 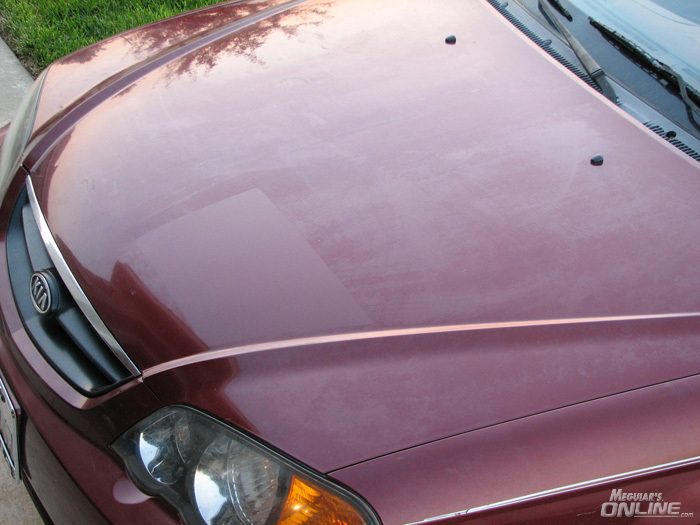 Before going over the entire car, see if you can make just one small section look good, that is apply the product you're planning on using over the entire car to just one small section about a foot squared or so. Work it in and then wipe it off, then apply the polish, work it in but not as much as the compound because now you're not trying to remove paint, just spread the product out, then immediately wipe it off, then apply the wax and let it fully dry and then wipe it off. Now inspect our results. Make sure you can make one small section look GREAT before going over then entire car. If you can't make one small section look GREAT you won't be able to make the entire car look GREAT. And if you're having any problems, the post back here after the test section and we'll help you tweak your technique to insure you get it right. If you don't have a Brinkman Swirl Finder Light you might look into getting one to check your results. Proven combos for C5 Vette and DA? It's a good read also as it's a guy looking to do the same thing you're looking to do only on a Corvette which has some pretty tricky paint to work on.